Today, I finished hacking together a ‘person’ applet, using – of course – Telepathy and the excellent Empathy’s libraries created by Xavier Claessens. While I’m at it, you can read more on telepathy and empathy in my GUADEC 2007 talk (also see my pictures on flickr). The right-hand panel contains a number of megaphone applet instances, one for each contact I often talk to. If I click on the avatar (or the generic contact icon) it creates a text chat. The beauty of Telepathy is that the text chat will be handled by my favorite text chatting application, in this case Empathy itself, but it could be konqueror or whatever other program capable of handling text chats. The first time the applet is added, you can choose a contact to be displayed. The contact chooser re-uses the empathy contact list as found in libempathy-gtk. Simply find your contact in the list, click ok and you’re set. 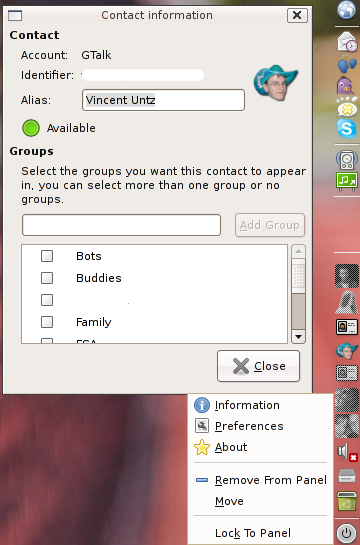 The applet also offers an ‘Information’ dialog, taken again from libempathy-gtk that allows you to view and edit the contact vcard, and edit the groups to which it belongs. 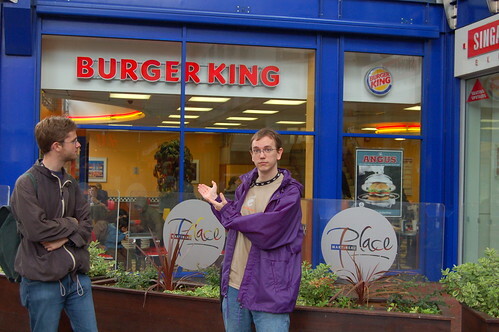 In completely unrelated and old news, we got our traditional gourmet restaurant with vincent, xavier and cédric at Birmingham. Delightful! Vincent certainly seems to enjoy the moment ! 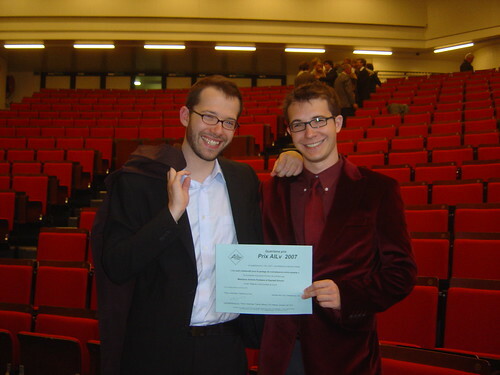 The 2007 promotion (I’m the guy with the red jacket). Note the geeks. Especially our teacher that looks like Clint Eastwood ready to shoot someone. Antoine and me with the AILv price. We ended in 4th position for the best mémoire that can lead to a business. 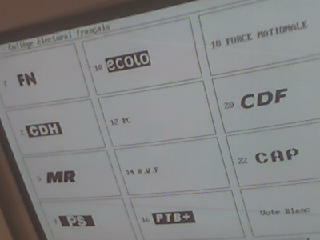 Today was election day in Belgium! I can only hope that WYSIWYV ! 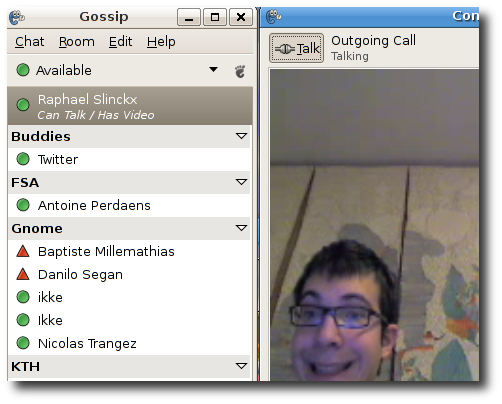 Daniel is going to implement some kind of photobooth application for GNOME. There has been some buzz around the idea lately. I believe that the idea if done well could really be a mini-killer-application. There is also some integration work to be done. 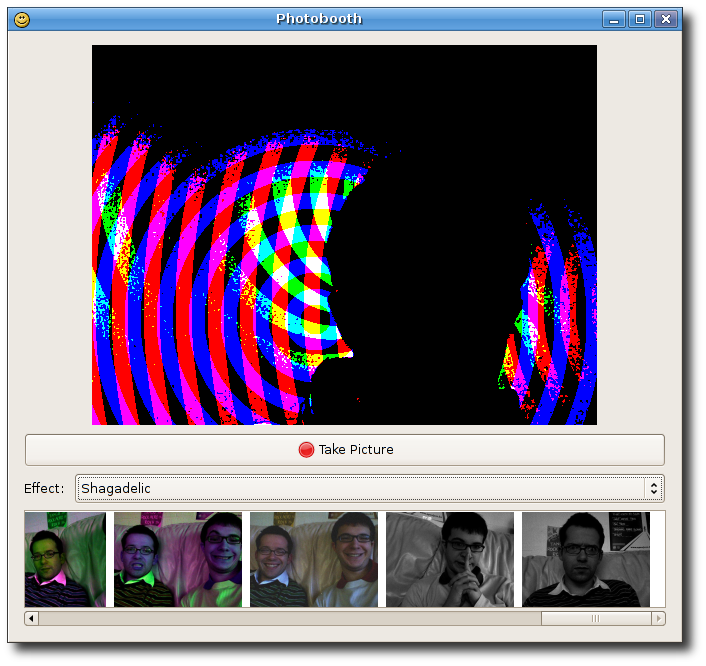 Two ideas were discussed in the proposal: gnome-about-me could popup the photobooth widget to take a picture of you. Same for any IM client to setup an avatar. This is just how Mac Osx does the job. Another idea would be flickr/youtube integration, the ability to directly post a photo/video to those websites from the application. More ideas discussed in the google soc proposal. Sebastian has been contributing to deskbar already. He is also the creator of the NewStuffManager started in deskbar now growing as a standalone project gaining more and more traction. Now his task for this summer is a difficult one. Deskbar has grown organically the last year to a point where it becomes difficult to add any feature or correct the long standing bugs because of architectural problems. 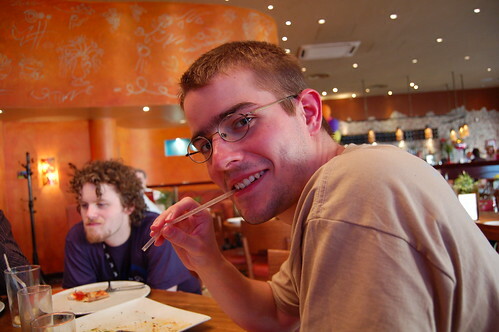 The issues are well known and have been discussed on IRC or the live.gnome.org wiki page. The refactoring work should land in 2.20 so we can start on a fresh basis. Ideas that are discussed include the ability to embed the deskbar entry widget in other applications like gimmie, or allow to query deskbar via dbus without using the UI. Startup times and memory usage are also priorities. I do not plan to maintain this piece of code, since other people will make it evolve better than me ! This wednesday our local louvain-la-neuve LUG (louvain-li-nux) will participate to a student fair showcasing all activity groups present in the university. We had the idea of creating a photo booth stand where people can stop by take a picture by pressing a button and then send that picture on a dynamic website or on a big projector live. All this using free software of course. It’s a good way to engage conversation with people! Basically it uses gstreamer to grab frames from the webcam then it feeds a double pipeline, one displaying the image on screen on the gtk widget, and the other allowing to take a buffer when the user clicks the button and encode it to whatever image format is needed. Gossip has now video/audio capabilities ! 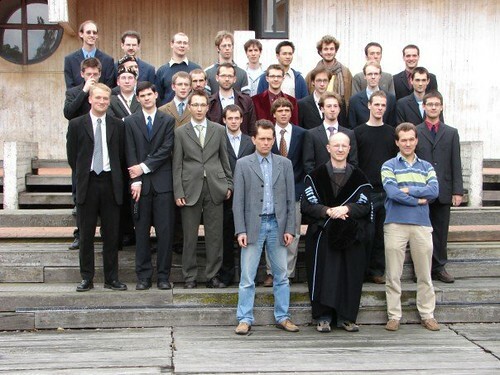 I’m not alone on this stuff, many thanks to Xavier Claessens and Eitan Isaacson for maintaining the telepathy branch! Merry Christmas and Hapy New Year ! ZOMG!! !one11 Bling !! Or the beryl hackers at work. Hmmm food. They tried to kill us at google with a huge amount of great food. Fortunately all of us survived. Our two hackers extraordinaire. The handsome Christian and the stupid Danilo. Or is it the other way around ? I have some pictures of Mirco Müller which could be suitable for a new hackergotchi as he requested. If anyone wants to steal one one those and make him a great hackergotchi he will be very pleased ! I will leave the pictures for a month or so in this folder.